But I'm not reading the book by myself. Reiterating, there are four other ladies from my church joining me as we search out this topic of hospitality per Rosaria Butterfield. At our first meeting at my home, we sat and ate breakfast together, everyone having contributed to the meal. And not just the meal itself, but also to the clean-up after the meal and any other chore the hostess needs help with, such as folding the laundry. This is because we are not only learning how to be gracious hostesses, but also how to be gracious guests. Each of us are also committed to hosting the book club get-togethers. Next week we will meet at one of the other ladies homes. But one of the main reasons that I'm writing this post is to share the recipe I made for our breakfast. The other ladies asked for it and this is the way I chose to get it to them and to anyone else interested. 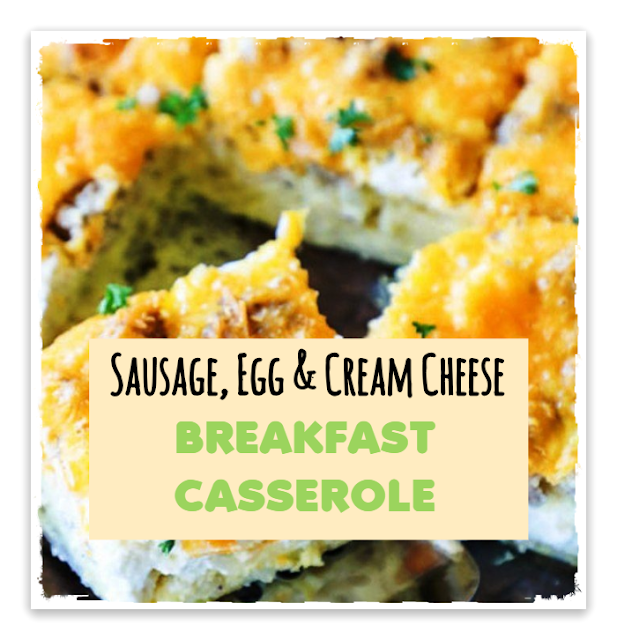 Sausage, Egg and Cream Cheese Breakfast Casserole is very GOOD! You may want to try it along with Rosario's compelling book. 2. Brown sausage in a skillet over medium high heat, breaking up the sausage with a spatula. 3. Immediately after breaking up sausage, add onion, peppers and broccoli florets to skillet and continue to cook until there is no pink in sausage and vegetables are slightly softened. 4. Add the hash browns and salt and pepper to the sausage/vegetable mixture and stir to combine. 5. Spread the hash brown/sausage mixture into the bottom of a 9×13 baking dish. 6. Whisk the eggs in a separate bowl till well beaten. Add cream cheese cubes, green onions, salt and pepper and stir gently to combine. Pour the egg mixture over the top of the sausage/hash brown mixture. 7. Spread the remaining cheese over the top of the casserole. 8. Bake on the middle oven rack for 35-45 minutes or until the eggs are set and cheese is golden. 9. Cut casserole into squares and serve. Have you hosted neighbors in your home? How did you approach that and what was the response of your neighbors?